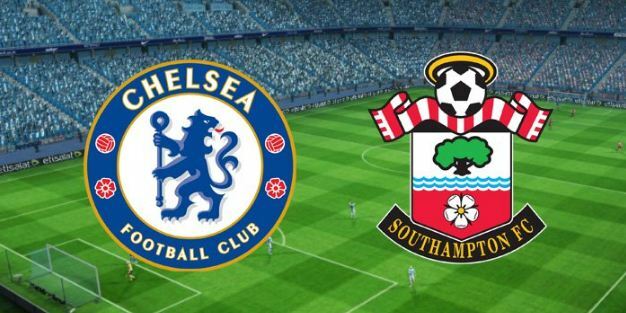 Live Streaming Chelsea vs Southampton - Semifinal Piala FA. Wembley Stadium, Minggu 22 April 2018. FT: Chelsea vs Southampton 2-0. Chelsea (3-4-2-1): Caballero; Azpilicueta, Cahill, Rudiger; Moses, Kante, Fabregas, Emerson; Willian, Hazard; Giroud. Substitutes: Eduardo, Christensen, Zappacosta, Bakayoko, Barkley, Pedro, Morata. Southampton (3-5-2): McCarthy; Hoedt, Yoshida, Bednarek; Cédric, Romeu, Lemina, Højbjerg, Bertrand; Austin, Long. Substitutes: Forster, McQueen, Tadić, Redmond, Ward-Prowse, Gabbiadini, Carrillo.